Spicy Zucchini Blossoms (fried) | Let's Eat! 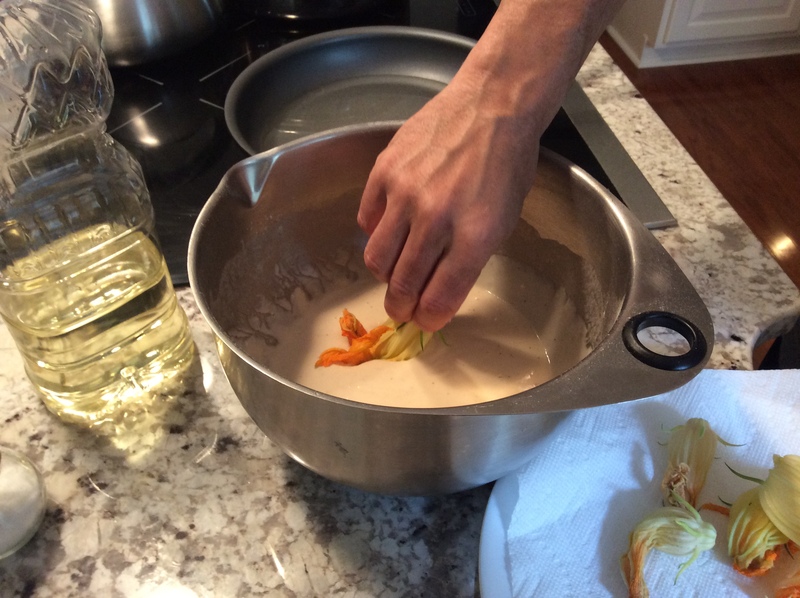 I’ve seen fried zucchini blossoms on TV many times but have never tried making them at home. I planted a zucchini plant this year and it’s really doing well. We’ve gotten several large zucchini’s so far and I decided to try something different and fry up some blossoms. I started with making a beer batter which I added Sriracha to in order to spice it up a bit. Heat a skillet with about 1 inch vegetable oil. Heat to 350 degree. In a bowl, add flour, salt, beer and Sriracha. Mix into a batter. Once the oil is heated, dip each blossom into the batter to fully coat. These are an excellent appetizer or could be served as a side. 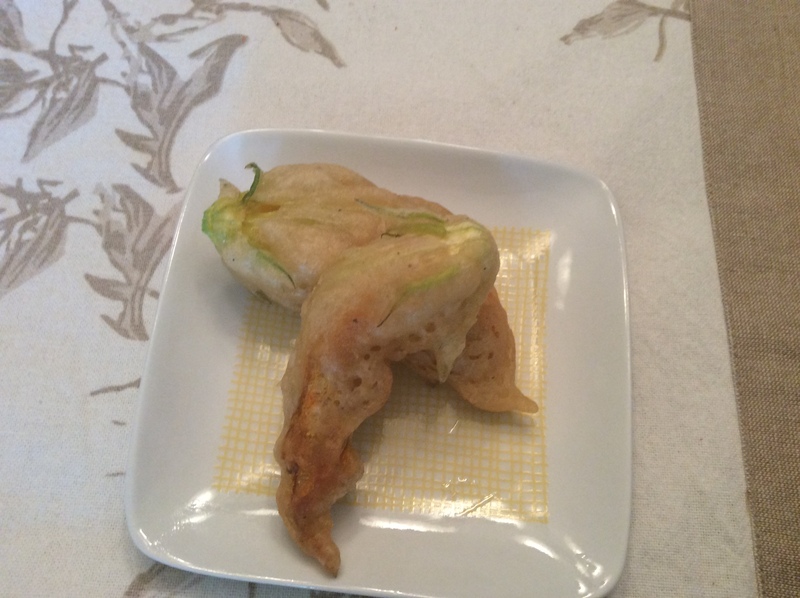 This entry was posted in Appetizer, Low carb, Recipes and tagged Fried zucchini, Fried zucchini blossoms, Zucchini, Zucchini blossom, Zucchini flowers. Bookmark the permalink. Tasty, wherdo you live? Anywhere a Zucchini grows a blossom is close!